Lying along the banks of the beautiful Nam Tha River, the town of Luang Namtha, the capital of Luang Namtha Province, is a fairly popular destination for budget travelers and backpackers. This small, tourist-friendly town with a population of just over 28,000 is a good place to spend a few days while traveling in mountainous Northern Laos. Luang Namtha has enough tourism infrastructure to make it a convenient place to explore, yet it can hardly be called a tourist trap. The main tourism hub of this laid-back town is located on a short stretch of Highway 3A, 10 kilometers from the long-distance bus station. Here visitors will find inexpensive guesthouses, restaurants and a small night market which is a great place to eat tasty and inexpensive local food. In this same area there are a number of travel agencies that organize trekking tours to the Nam Ha Protected Area; Luang Namtha's primary attraction. 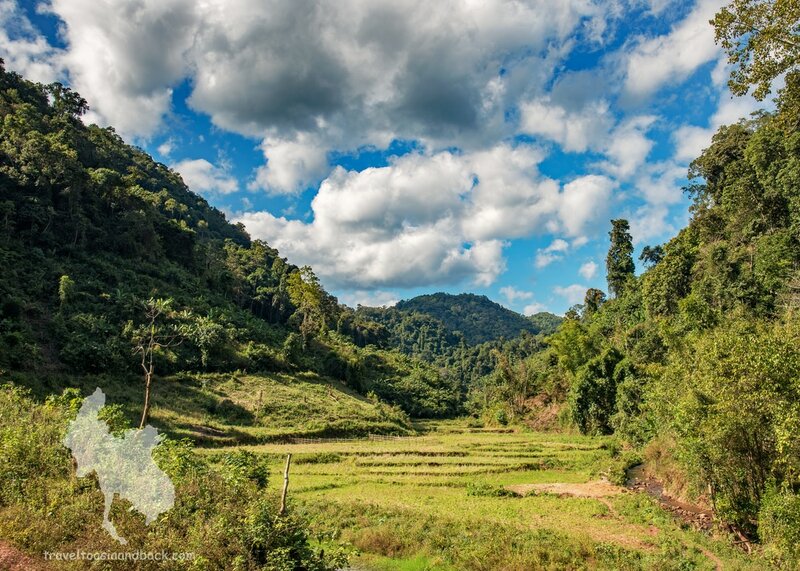 ​Covering an area of 2240 square kilometers, the heavily forested Nam Ha National Protected Area (NPA) is Luang Namath’s primary attraction. The park’s entrance, 10 km from Luang Namtha town, is the gateway to some of Laos’ most rugged and remote wilderness areas. Within the boundaries of the NPA are numerous traditional villages inhabited by the Akha, Hmong, Khamu, Lantaen, Tai Dam, Tai Lue and Yao People. Also living in the forests are 288 species of birds and 33 species of mammals including elephants, gibbons, gaurs, leopards and macaques. Twenty two endangered animals such as tigers and rare species of gibbons have been spotted here since the park was established in 1993. There are a number of trekking companies based in Luang Namtha which offer single and multi-day trekking tours, which generally include a visit or a night’s stay in an ethnic village. Trekking tours in the NPA are rather expensive when compared with similar tours in other areas in Southeast Asia. However, 25% of the tour price supposedly goes directly to the villages and is earmarked for improvement projects. Meals and transportation to and from the park is also included in the tour price. Solo travelers to this area will find that it is cheaper to sign up for a tour with several other travelers as the tour price depends on the size of the group. Most Luang Namtha trekking companies have blackboards prominently displayed in their storefronts that announce the time and date of the next tour along with the number of guests who have already made a booking. Luang Namtha boasts a small domestic airport that is situated 6 km south of town. Currently (May 2017), Lao Airlines operates daily flights between Luang Namtha (LXG) and Vientiane (VTE). The 55-minute flight costs approximately $128 USD. 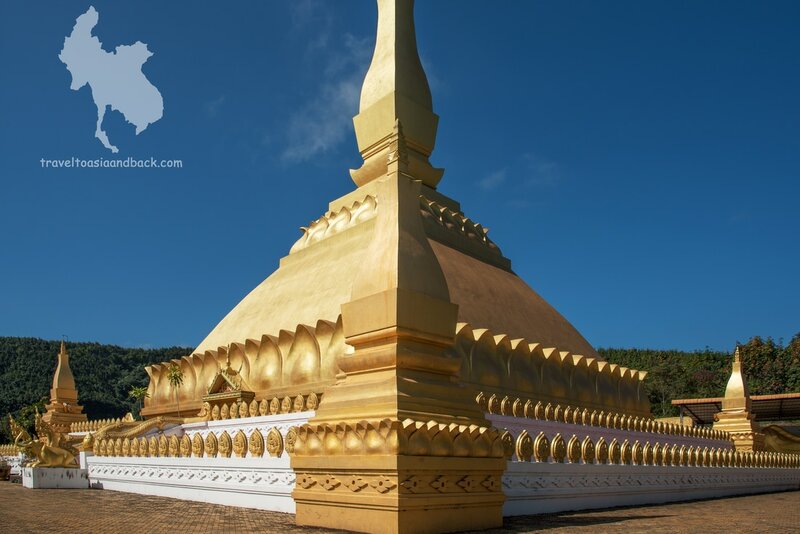 Luang Namtha is firmly planted on the well-traveled northern tourist route so it is very easy to organize bus travel between the town and other popular destinations in Laos such as Huay Xai, Luang Prabang, Oudomxay and Vientiane. Nearly every hotel, guest house or hostel in these cities sells bus tickets. Usually purchasing bus tickets from a travel agency or an accommodation is slightly more expensive than at the bus station, but they normally include a free transfer to the bus station, which can be very helpful. At the time of writing (May 2017) only Laotian and Chinese nationals were allowed to take the bus that travels between Luang Namtha and Phongsaly. 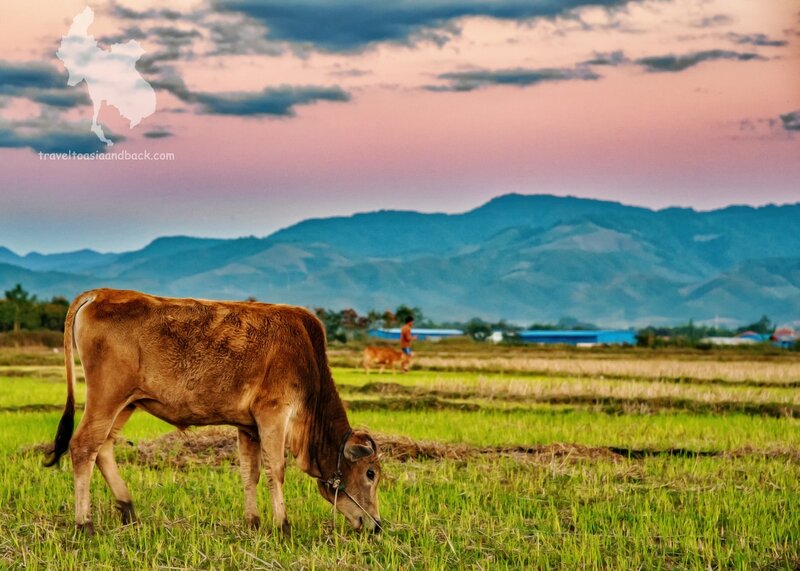 ​Travelers journeying to Dien Bien Phu can catch the one daily bus that departs at 07:30 AM. 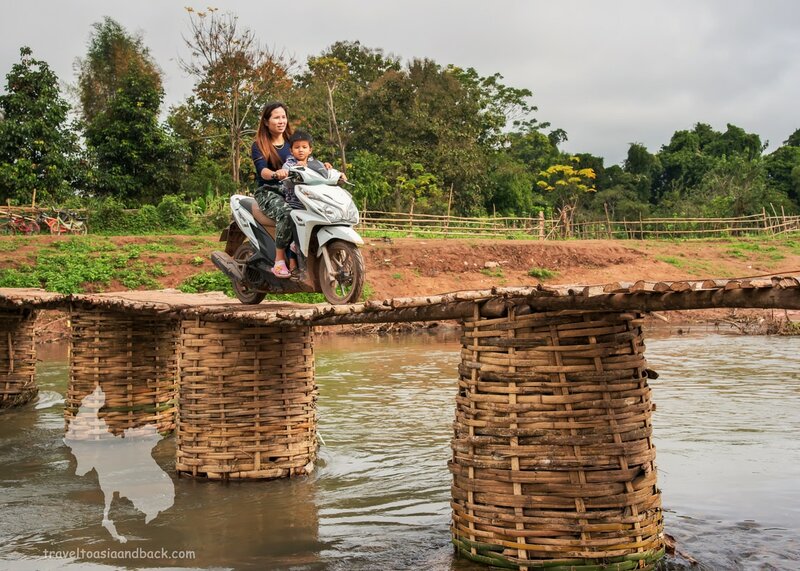 The trip takes roughly ten hours including the time it takes to clear out of Laos and into Vietnam. The ticket price is 130,000 LAK. ​One bus per day departs Luang Namtha at 08:00 AM for the Chinese city of Jinghong. This trip takes roughly seven hours and costs 90,000 LAK. Five hours into the journey the bus will make a stop in the city of Mengla in China. Travelers headed to Kunming China can change busses in Mengla. As previously mentioned, the main long-distance bus station is 10 km south of the main tourist area. Tuk-tuks are available to make the short trip for 15,000-20,000 LAK or around $2 USD. ​In addition to the long-distance bus station there is a smaller mini-bus station located 2 km south of the night market. From this station mini-busses (vans) make regularly scheduled trips to Boten, Muang Sing and Nalae. Muang Sing is a tiny town located 64 km north of Luang Namtha. Positioned in the famed “Golden Triangle”, a mere 11 km from Chinese border, Muang Sing has a colorful history. At one time the region was a top producer of opium and Muang Sing became a key point in France’s opium trading route. Decades later, well after the end of French colonialism, the area is still known for its opium production although on a much smaller scale. Today Muang Sing is principally a trading town where all sorts of Chinese goods are bought and sold. The town lies along the Nam Ha National Protected Area and offers travelers the opportunity to trek in the NPA and visit ethnic villages. However, there is very little in the way of tourism infrastructure or sites to see here. This place is probably best suited to travelers who are looking to get off the beaten path and get away from other travelers. Six mini-buses depart Luang Namtha daily for Muang Sing. The trip takes roughly two hours and costs 25,000 LAK.